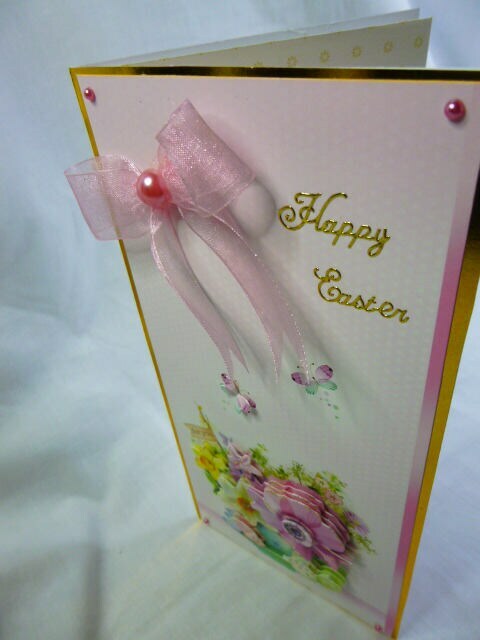 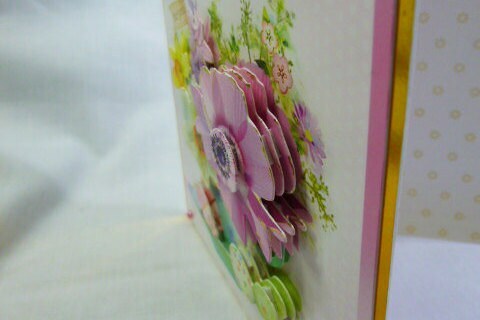 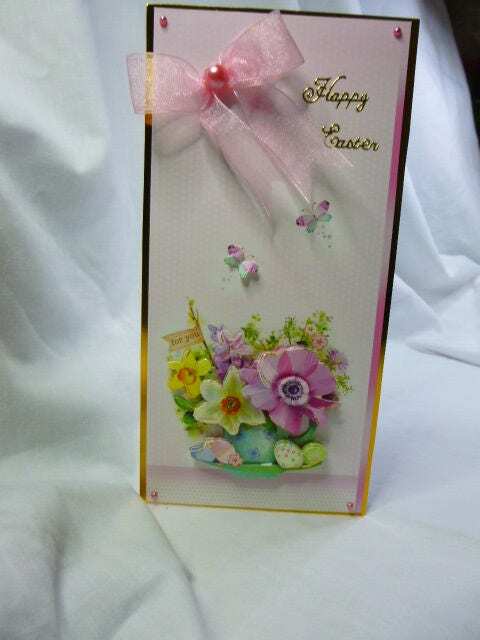 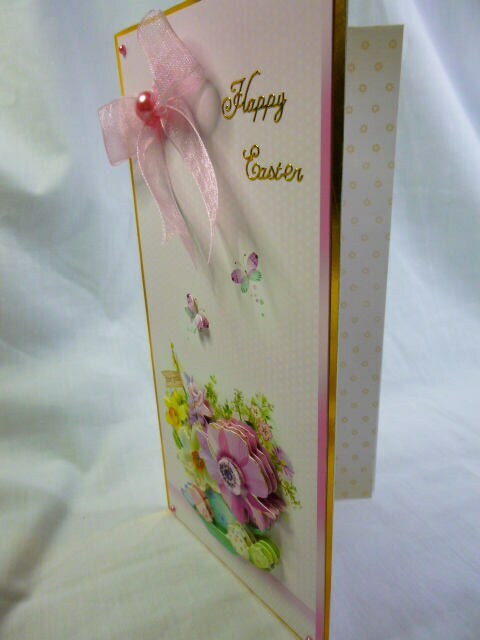 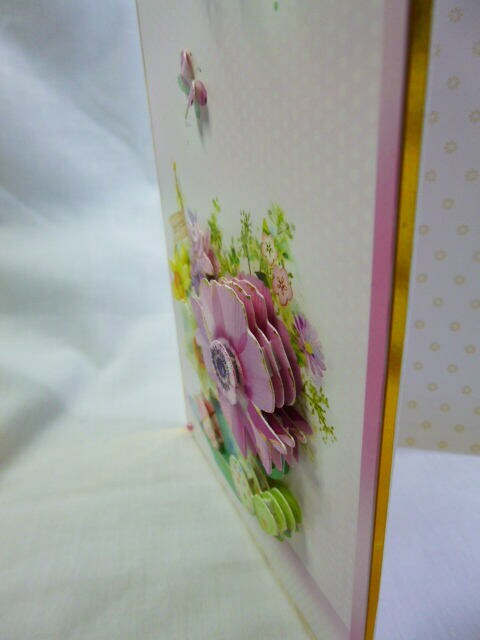 3 D decoupage Easter greeting card. 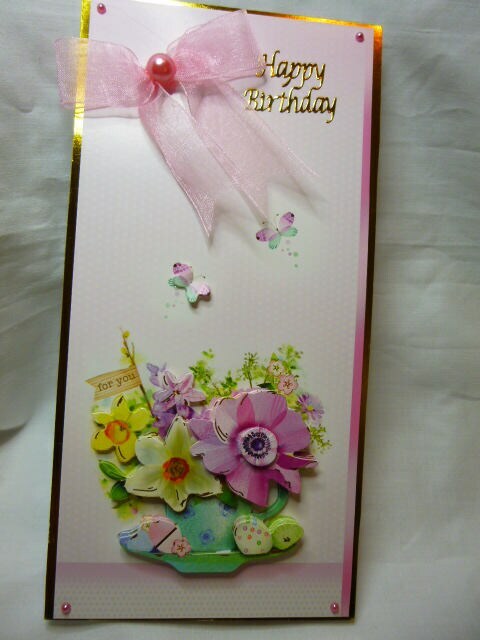 Made with white card base, layered with gold card, and patterned floral card with 3 D decoupage flowers in a tea cup, two small butterflies, large pink organza bow with large pink pearl embellishment in the centre of the bow, 4 smaller pink pearls one in each corner. 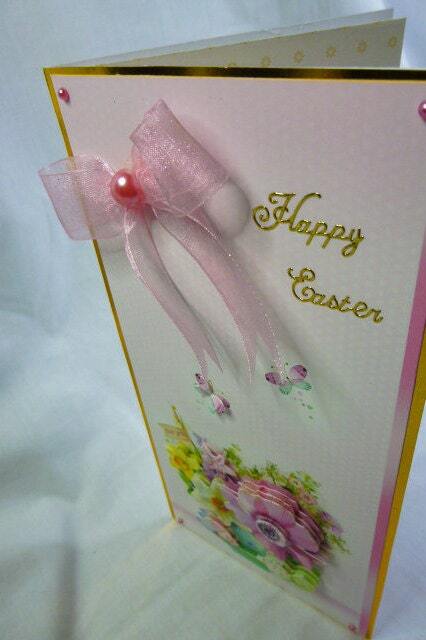 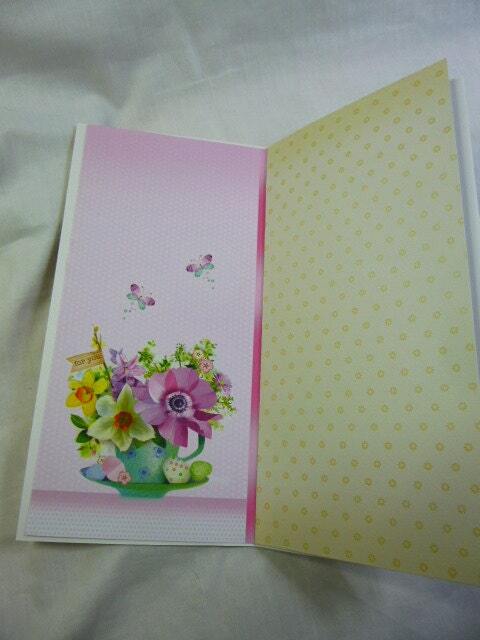 The card measures 8 inch x 4 inch, 20 cm x 10 cm, includes a white envelope.